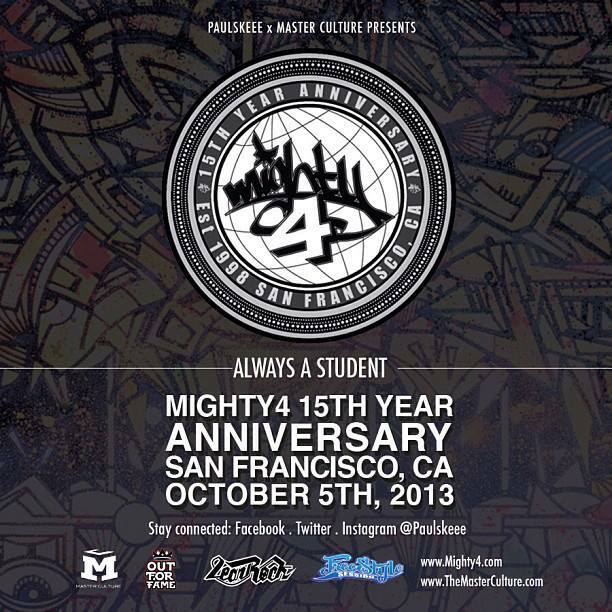 On October 05, 2013 – Mighty 4 will be celebrating 15 years of representing Hip-Hop culture. Thank you to all who have shown support throughout the years. Rest assured that this will be one for the books.